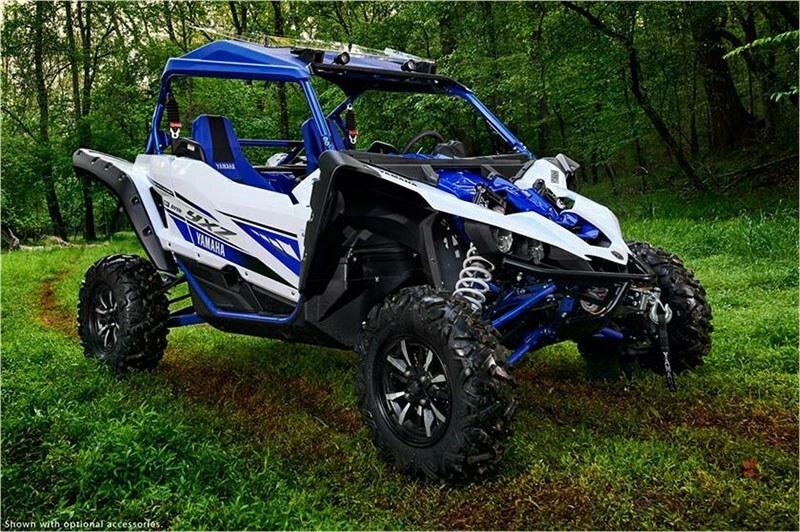 LOADED WITH ACCESSORIES! PRICE INCLUDES FACTORY REBATE - See dealer for details. 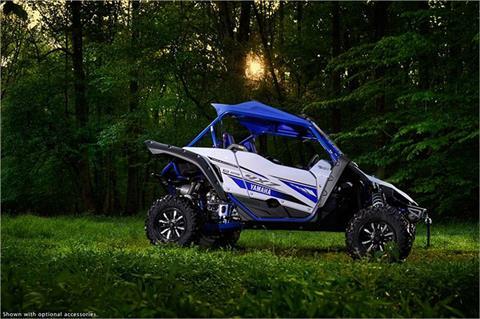 The new YXZ1000R SS puts pure sport performance at your fingertips with an all-new 5-speed sequential Sport Shift (SS) transmission with automatic clutch. 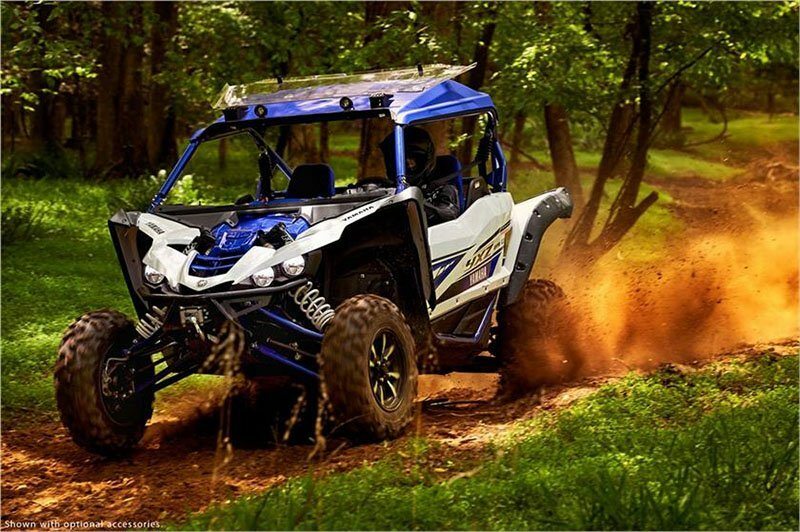 PURE SPORTS CHASSIS: Optimized frame dimensions make the YXZ1000R SS the best handling sport side-by-side on the planet. In addition to the performance and durability that comes with Yamaha’s exacting standards, the YXZ1000R SS also includes extensive occupant protection without sacrificing driver visibility, and a full-frame composite underbody skidplate protects the chassis from rocks and debris. 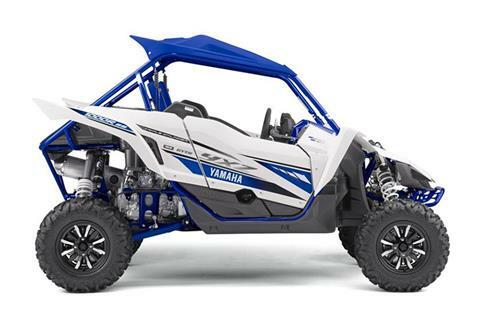 POWERFUL ALL-WHEEL DISC BRAKES: The YXZ1000R SS offers precise braking control thanks to twin-piston calipers clamping down on 245 mm rotors at all four wheels, for excellent braking power, feel and fade-resistance under hard use. An automotive-style parking brake lever is mounted in the cabin’s center console. YAMAHA'S EXCLUSIVE ON-COMMAND® 4WD: On-Command 4WD gives the driver ultimate traction, with easily selected 2WD and 4WD full diff lock modes. The YXZ1000R SS drivetrain incorporates Yamaha’s proven On- Command 4WD system to tackle the most challenging terrain. 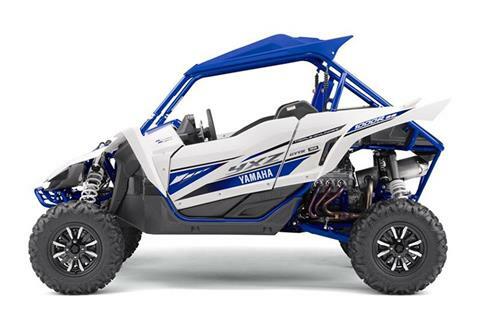 To deliver Yamaha’s exceptional durability, this system also incorporates an over-torque protection system that eliminates spike loads to the front drive case on hard impacts, protecting it from damage without affecting performance. UNMATCHED SIDE-BY-SIDE PERFORMANCE: The YXZ1000R SS is proof that Yamaha is the leader in powersports performance. Featuring a 998 cc inline triple engine mated to an all-new Sport Shift 5-speed sequential shift gearbox with On-Command® 4WD, massive FOX Racing® suspension front and rear, and styling the competition can’t touch, the YXZ1000R SS is in a class by itself—the only true pure sport side-by-side ever developed. 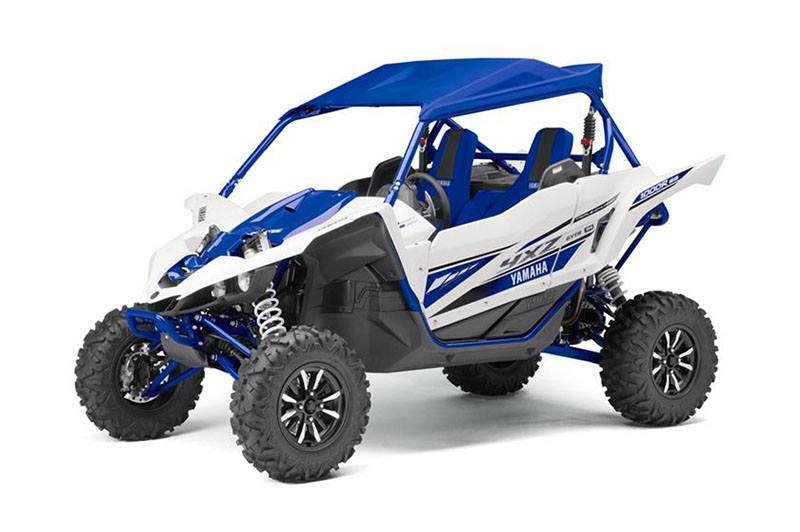 STUNNING 998 CC THREE-CYLINDER ENGINE: Featuring a compact DOHC 12-valve cylinder head, an aggressive 11.3:1 compression ratio and high-tech dry-sump lubrication, the YXZ1000R SS engine offers jaw-dropping power, fantastic midrange torque and a thrilling 10,500 rpm redline. 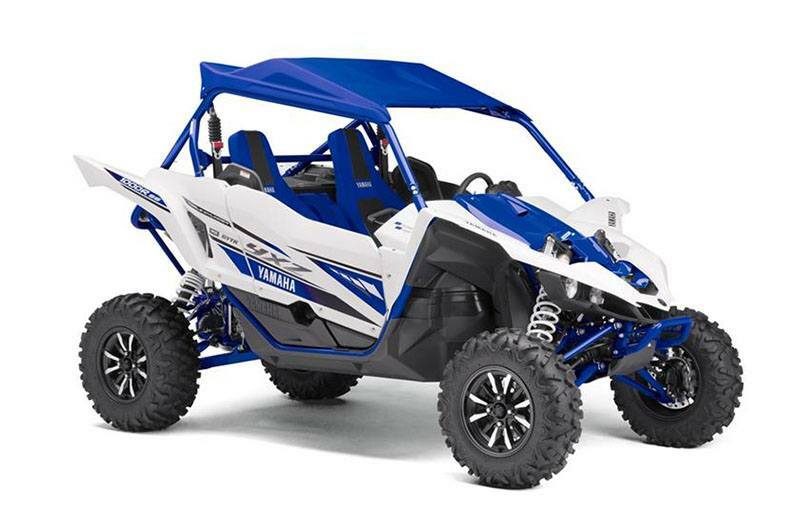 Built for the pure sport side-by-side enthusiast, there’s nothing else like it.